Monthly networking coffee held in the sponsor's location. Our monthly Chamber Coffee is a wonderful networking opportunity! The Coffees are held on the second Wednesday of the month beginning at 8:15 am in the sponsor's location. 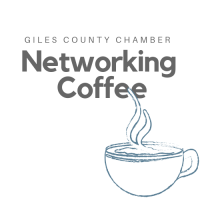 Coffees provide members with information on upcoming Chamber and community events, knowledge about the hosting member's business, and opportunities to win great door prizes.